Beach House may now have a serious contender for album of the year on their hands. Canadian electronic artist Dan Snaith’s new record Swim (recorded under the Caribou pseudonym) is a masterful piece of dexterity, a true sea change from 2007’s equally facile, but completely different sounding Andorra. In the creation of Swim Snaith is quoted as saying he “got excited by the idea of making dance music that’s liquid in the way it flows back and forth” and that aquatic aspect is prevalent in all nine house-influenced tracks. While the house music’s traditional cool sound of the drum machine percussion and synthesizer beats is still there, Snaith has toned them down to a more lush, organic style, which combined with the reverb, at times gives that distorted, enveloping feel of hearing something underwater. The first single off the record is obviously “Odessa,” the record’s jumping-off point and also one of the better tracks I have heard all year. “Odessa”s ice cold beats and industrial sound is actually a departure from most of Swim, but it’s also a great signifier for anyone familiar with Caribou’s last work that things have changed dramatically. The rest of the record hews slightly closer to Snaith’s patented organic take on electronic music, even if the resemblance becomes at times difficult to identify. One of the biggest differences comes in the vocal parts, which in tracks like “Sun” consist only of the same word repeated over and over under the influence of different pitches and distortions, while “Bowls” and “Hannibal” have practically no vocals at all. And surprisingly the less vocals there are the more the music seems to make sense. In a song like “Bowls” particularly the beats made out of found sounds and synths make for such a fluid, out of body experience that vocals would seem inappropriate. By contrast “Leave House,” while a decent dance track in its own right, sounds less interesting for its insistence on the more traditional vocal chorus structure. That doesn’t make for a hard and fast rule though, as “Kaili” is one of the record’s best tracks, and its vocal element is absolutely key to the sound. While the track’s upbeat pace makes it one of the dancier titles, Snaith’s monumental howl brings to mind more than any other song the epic scope of his previous work on Andorra. Vocals or no, there isn’t a single track on Swim that doesn’t shine with its own unique quality – even the quick, two and a half minute “Lallibella” is absolutely beautiful for its relatively simple swelling and receding synths over a drum machine. It’s a testament to Snaith’s ability as a composer that he can craft such an epic sound from such minimal elements. And you can hardly deny his talent. The artist’s discography has been a straight arrow continually reaching new heights in quality with every subsequent release. At some point Snaith will undoubtedly reach his apex and plateau, but if Swim is any indicator, for now his virtuosity remains anything but stagnant. The Irish Times November 4, 2011 Compiled by JOHN COLLINS WATCH ‘Grand Theft Auto’ official trailer THE FIFTH instalment of the evergreen games franchise Grand Theft Auto may not arrive until next year but that hasn’t prevented the first official trailer being one of the most watched videos on the internet this week. Jobs wasn’t perfect, but this tribute from a family member is a timely reminder that, as well as being a design guru whose work touched millions, he was also a real human being. is.gd/0OGILq INSTALL GarageBand on your iPhone IF YOU’RE a musician you never know when the creative muse might hit, but now you can ensure you always have a mini-recording studio with you with the release of an iPhone version of Apple’s GarageBand. The app was previously only available on iPad or Mac. Now, for [euro]3.99, you can have a suite of touch-controlled instruments – piano, drums, bass, organ and guitar – in your pocket. To be blunt, I’m disappointed with this record. Andorra really showed how unique Caribou was. That record gave me the sense that there wasn’t anyone who could match the magical area that Dan Snaith occupied. However, almost all of Swim falls flat to me. It’s almost like Dan was hanging out too much with Kieran Hebdan (Fourtet). In fact, Swim sounds like the tracks that didn’t make the cut for Kieran’s exceptional new Fourtet record. While there are a couple bright spots (I love the track “sun”), the rest of Swim sounds like someone just experimenting with mediocre house music and overlayering them with aimless samples that don’t add anything. 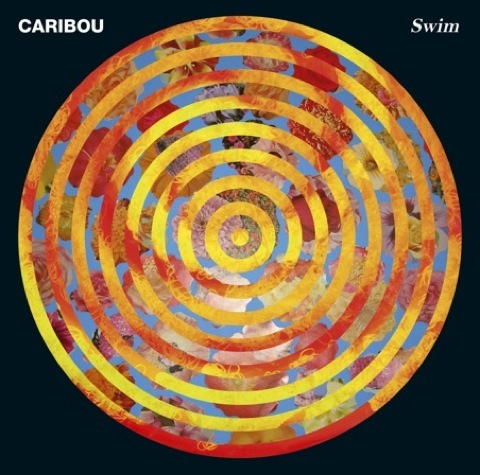 Maybe I hold Caribou to unattainable standards, and maybe Swim will grow on me, but so far no I’m not impressed.